With a print speed of 300mm per second and a time-to first-print of a mere 1.9 seconds, the PT390 direct thermal POS/receipt printer is extremely fast. That's why it's ideal for busy, time-critical environments, such as retail and fast food- as well as for those applications requiring quick turnaround and high-resolution printing, like hospital labs and manufacturing plants. The PT390 is also highly adaptable where space is at a premium: not only does it have a small footprint and a unique front-exit paper path, it can be positioned either horizontally or vertically, on a counter or underneath. Its buzzer function sounds a "beep" when a print job is complete- especially useful in places with high noise levels, such as restaurant kitchens or auto repair shops. And it's splashand dust-proof, so it can stand up to the harshest interior conditions. The PT390 can handle a variety of media types and sizes, including the industry standard 83mm-OD roll. It's perfect for receipts, coupons and tickets. It gives you a choice of fonts and a variety of barcodes, including 2-dimensional QR codes. 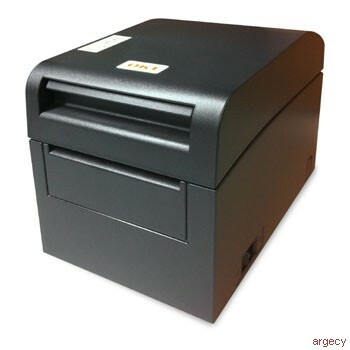 With the appropriate media, this direct thermal printer can even print in two colors to emphasize important information- such as cautionary or marketing messages. In addition, its internal memory can store graphics and logos that you can apply to your output. - - By back-feeding the paper after each receipt prints- the top section usually left blank- you can save up to 4.7% of the paper you use. - - By using the Windows driver that allows you to shrink the vertical print size, you can slash receipt lengths by up to 50% without losing printed data. With a long list of features and capabilities, the PT390 POS/receipt printer from OKI is perfect for your business. And it's backed by a 2-Year Advanced Overnight Exchange warranty and 24/7/365 live technical support.